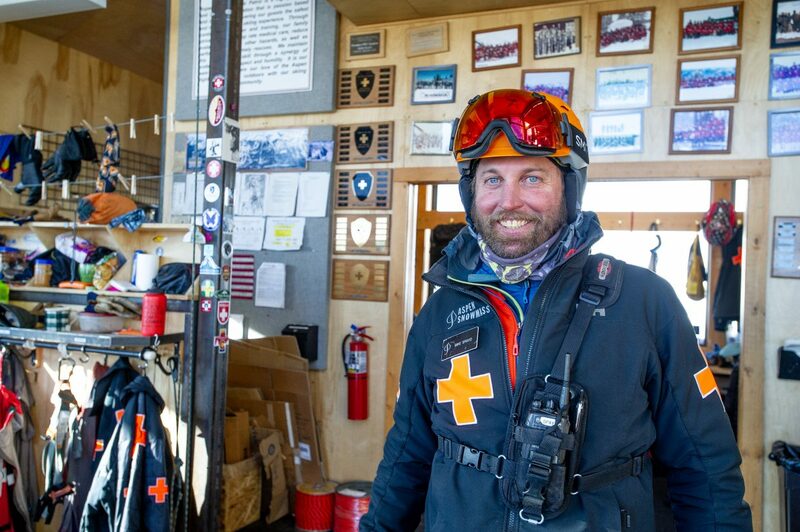 Aspen Highlands ski patroller Mike Spayd. The contents of Mike Spayd's ski patrol backpack. 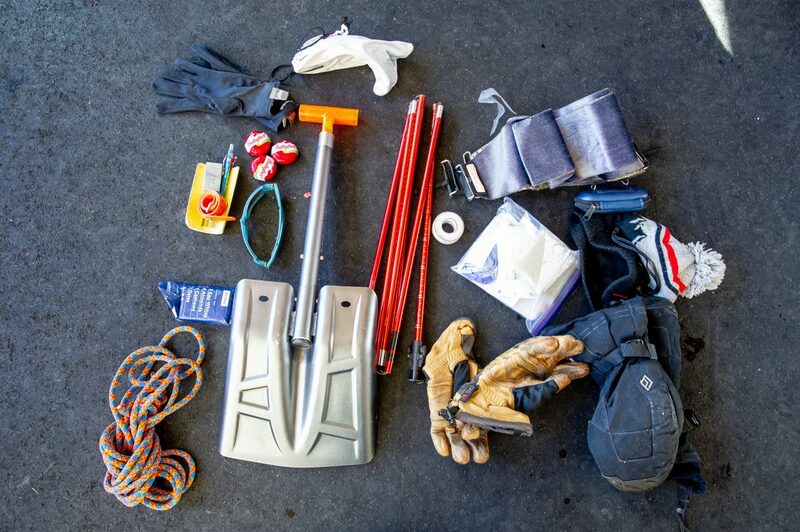 Aspen Highlands ski patroller Mike Spayd has a little bit of everything in his bag for when he gets out on the hill. There are a variety of situations patrollers come across on any given day on the mountain, so they pack and plan for a little bit of everything. His most important equipment for the job includes a backcountry collapsible snow shovel and a quickdraw probe for snowpack measuring and avalanche rescue. Also a few feet of extra rope. When you’re out there all day and it’s getting cold, you have to have a backup. Spayd carries an extra pair of work gloves and mittens, as well as a stocking cap and gaiter. Also in the bag, some liner gloves and goggles. You never know when you’re going to get a hankering for a hunk of cheese, so Spayd keeps some extra Babybels. Oh, and an extra protein bar is always a must. To keep his medical supplies dry, the patroller uses a Ziploc bag to pack his bandages and gauze in, along with an extra roll of tape. While most of the work involves downhill skiing, a set of ski skins is a must for those times when a little (or a lot) of uphilling is called for.